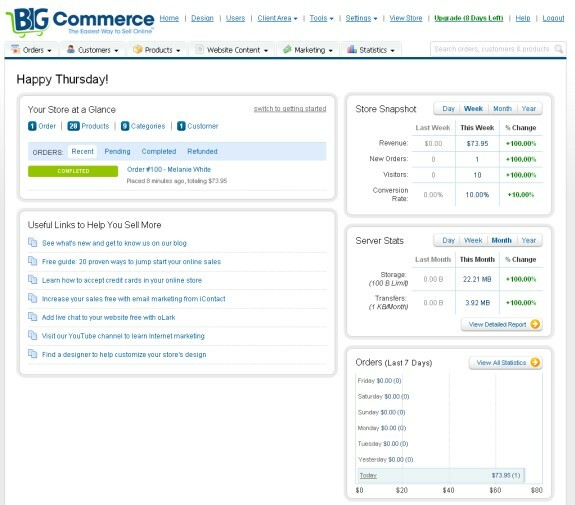 I love the BigCommerce interface. From the first moment I signed up I found it incredibly easy to use with great tutorials and videos to walk you through just about anything and everything. Their designs are beautiful and cater to very specific company types and since they have so many you are bound to find exactly what you want. Ie they have designs for jewelry, fragrances, shoes, apparel, lipstick, electronics, flowers, etc you get the picture. 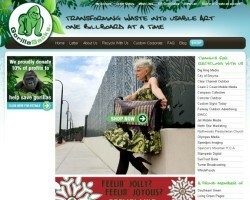 Over 500 predesigned templates with something for almost every type of business. This is one of my favorite things about BigCommerce. They can make even the little guy with no design experience look great. And once you pick a template you aren't stuck with it either. 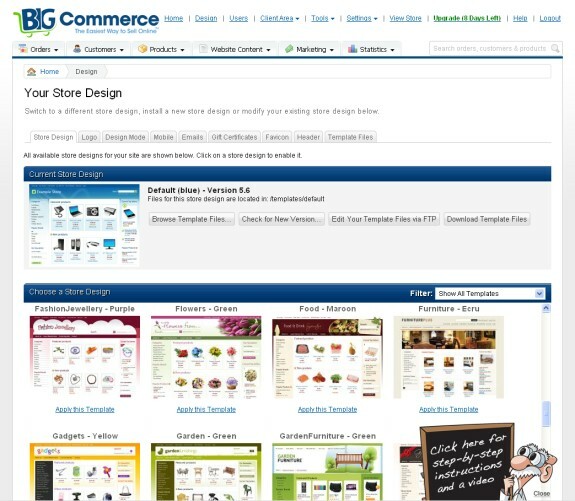 BigCommerce's sofware offer an excellent drag and drop design editor that is oh so easy to use. All pages are seo friendly. The entire software has been optimized by SEO Expert Aaron Wall. You can even customize the url structure to look however you want. All pages loaded quickly and with ease when both editing the store and loading the store itself, I never felt like I had to wait. 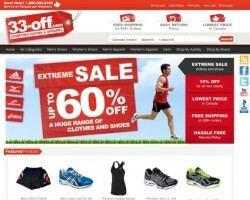 Slightly more expensive then the other top tier ecommerce solutions. The higher the plan the more discrepancy in price for instance at the lowest plan its about $5 per month more and at the highest plan its $150 more per month so there is a wide range of pricing. 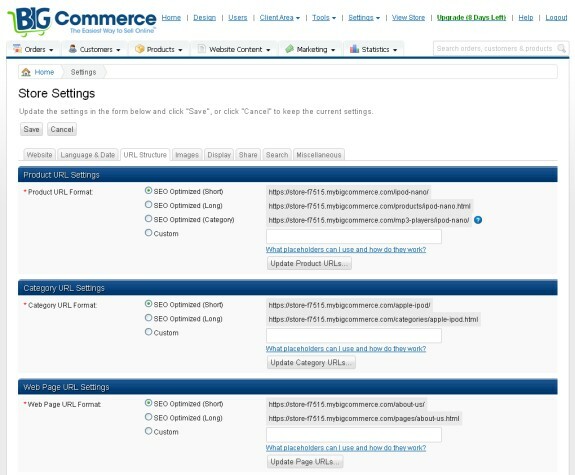 As always I tested out the BigCommerce support with several questions and different methods of contact. I called them on 2 different occassions and used support 3 times. 4 out of 5 times they answered within a minute and the 5th time they answered within 5 minutes. I only used email support once since I was always able to get an answer online, it took just a few hours to get an email response. I also received a proactive phone calls from BigCommerce support staff right upon signup. The online help is superb and one of my favorite things about this ecommerce solution. They have video tutorials, help articles and online help so there is something for everyone here. I very rarely had to consult the help but when I did I found it to be very thorough and up to date. BigCommerce offers integrations with hundreds of different products. I was amazed by the number and types of different software that could work with BigCommerce, if you need to work with many different systems BigCommerce might be right for you, checkout their integrations, they also offer an API so you can design your own. BigCommerce offers some very nice predesigned online gift certifcates, instead of just sending a plain ole gift certficate you can make it special, ie for birthdays, holidays etc, this is a feature I didn't find anywhere else. 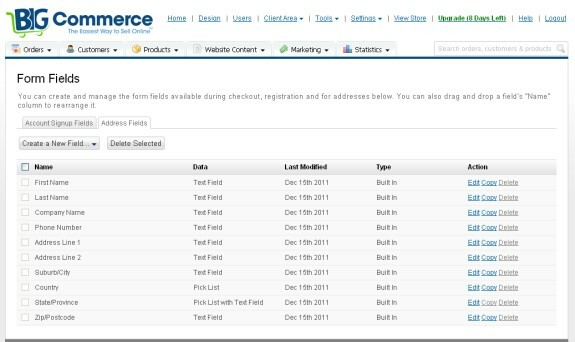 With BigCommerce shopping cart software you can even customize the registration billing and shipping fields etc to capture more information if needed, again I haven't seen this anywhere else. I found no errors when going through this shopping cart. I know that may sound normal but believe me it is not. Shopping cart software is an incredibly complex beast with thousands of pages of code and integrations. I found many errors on different interfaces as part of my testing. Zero errors is sign of a great program that is solidly built. The BigCommerce Review was by far the most enjoyable as everything went so smoothly. I found very little missing in this software you name it and they do it. I do feel however that they are slightly lacking when it comes to the shopping feed services. They only support the few most popular while most of the other top tier carts support many more. They could also upgrade their support by offering the ability to contact someone 24 hours a day 7 days a week. 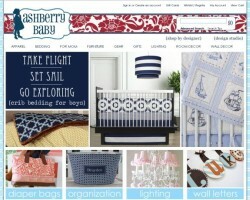 Below are actual stores built using the BigCommerce shopping cart. If you still need more information before trying BigCommerce I've included links to a few other good BigCommerce reviews below.